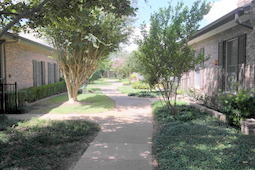 The pictures below are from our courtyards. The left hand one is from the 25-27 courtyard . The right hand picture is from the 21-23 courtyard. One of the key points of a previous OCHOA annual meeting was that the Neighborhood Watch is being divided into smaller areas with each individual HOA becoming its own Neighborhood Watch Center. There will be a community gathering at the Club on October 2nd as part of the National Night Out. 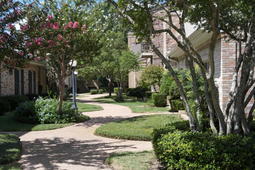 The Onion Creek HOA web site is http://www.onioncreekhoa.org. Residents need to sign in to access the Onion Creek resident information. The revamped offices have extended hours, which are available on the website. Check the Info and FAQ pages for additional information.